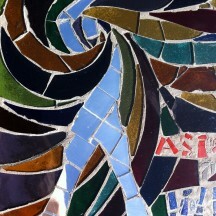 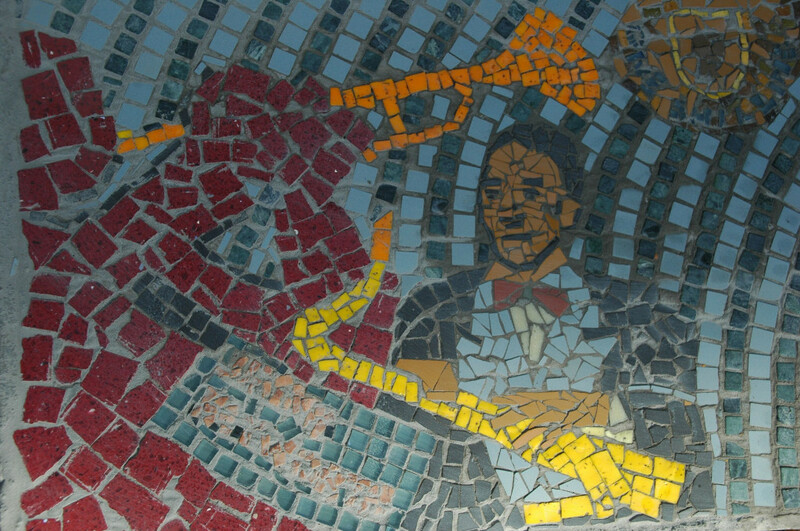 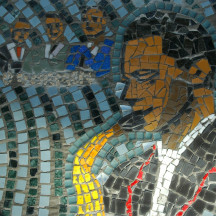 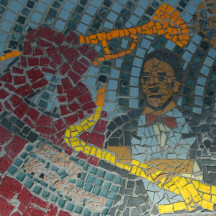 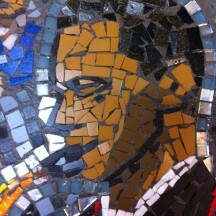 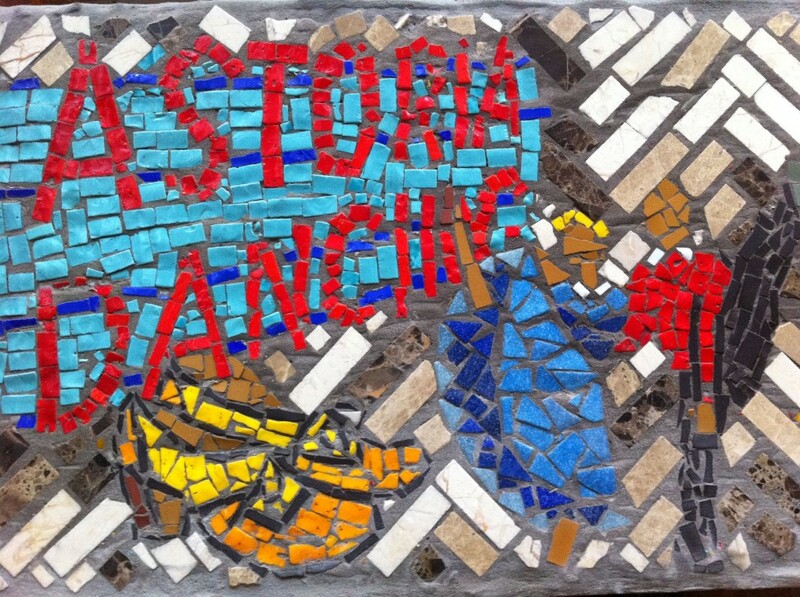 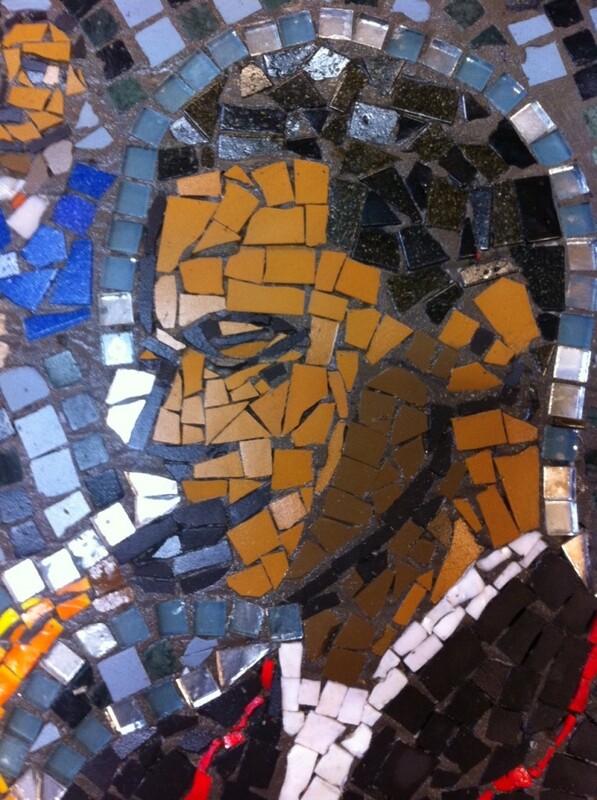 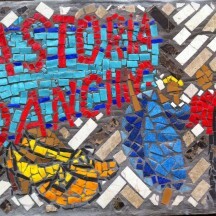 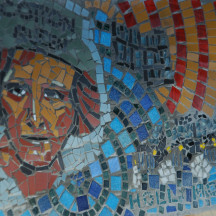 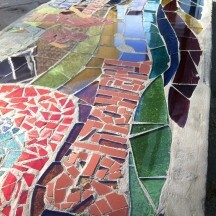 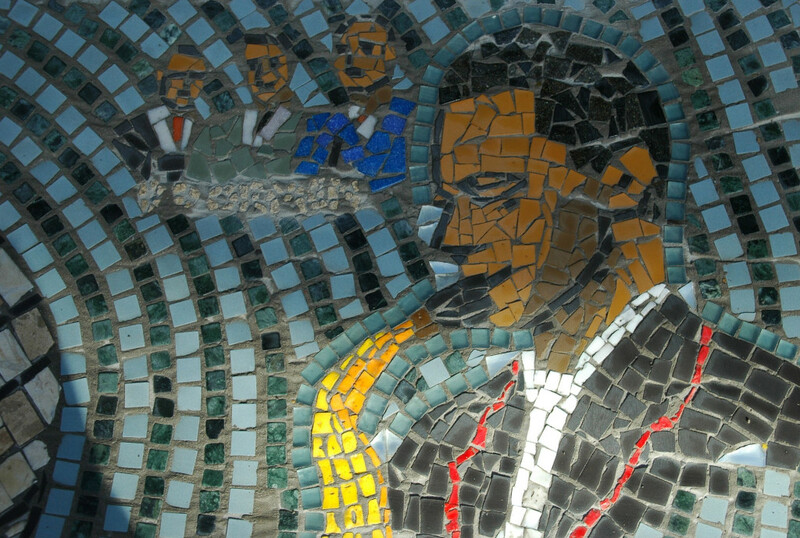 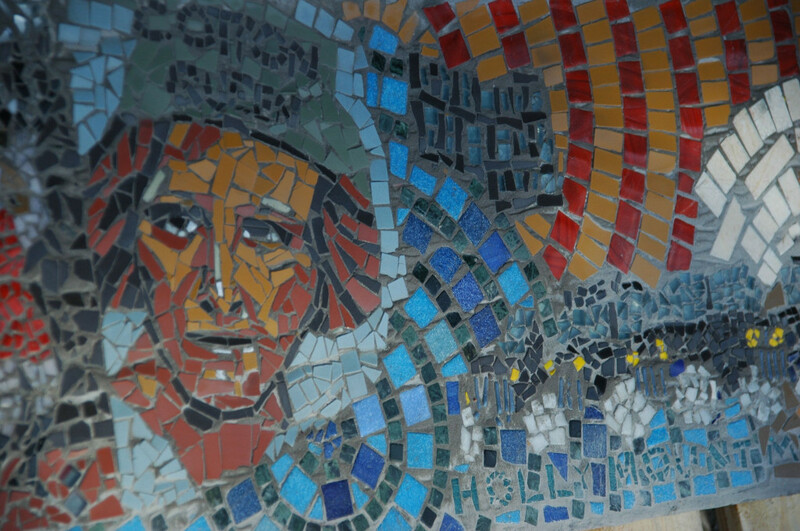 Mosaic made with the local community around Rawtenstall, Lancashire to commemorate the Astoria Dance hall. 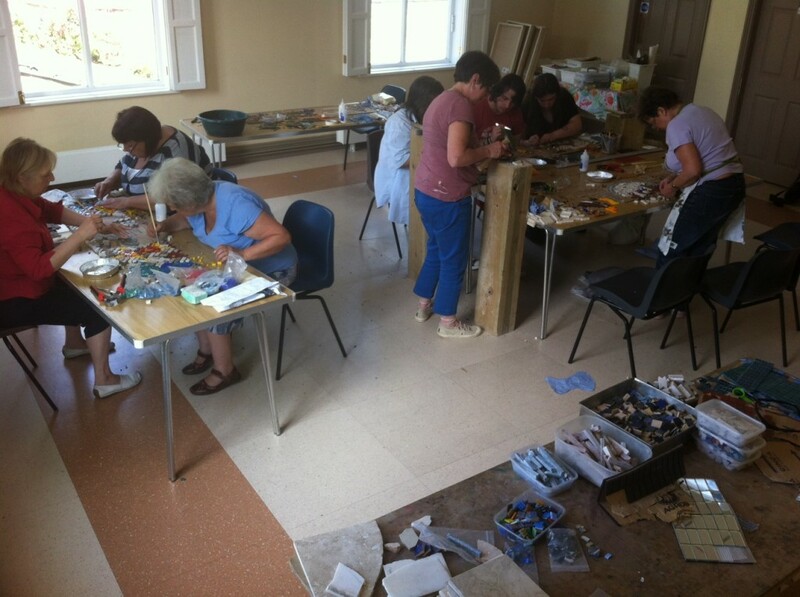 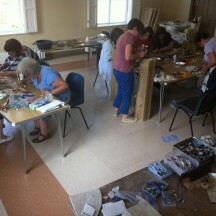 Participants were taught to use traditional mosaic tools including Hammer and Hardys. 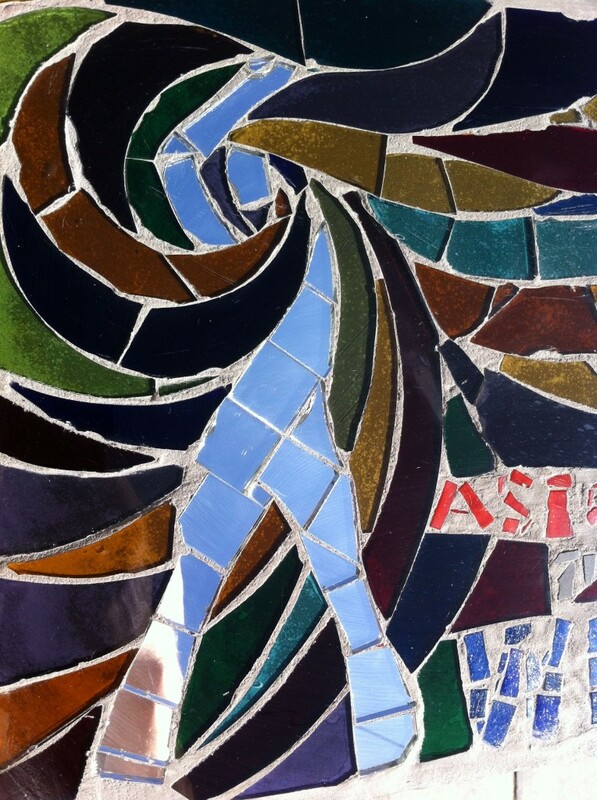 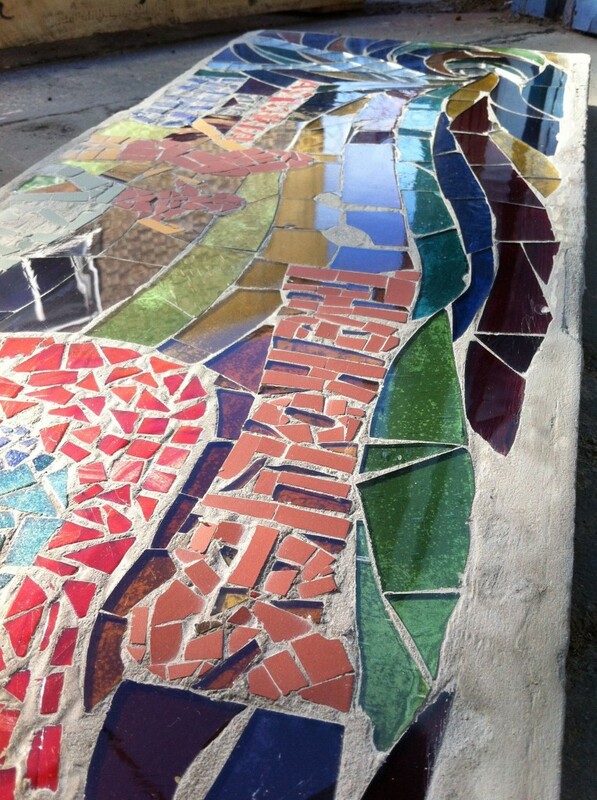 The panels were made using thousands of pieces cut from stone, smalti, ceramic and hand blown glaze.